Kevin Savage Cards is pleased to place for sale 10 unopened packs of Ultra Pro Vintage card sleeves. Each unopened pack contains 50 sleeves. 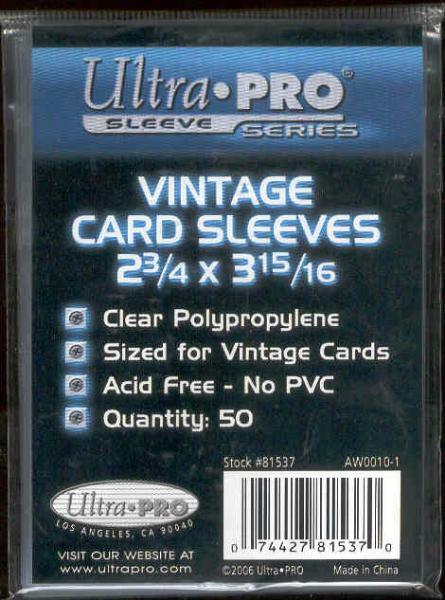 These Ultra Pro Vintage card sleeves contain NO PVC and NO Acid!